Oil Market Stalemate To Persist Until End Of 2016? The “big news” this month is that the banks granted over-leveraged, loss-making shale oil drillers a stay of execution by continuing to provide credit lines. Consequently, there was no major move in U.S. oil drilling or production, though both are trending down. Elsewhere, the story is one of production plateaus and stabilization of rig counts. The modest production rises and falls detailed below are simply noise on these production baselines. Against this backdrop of no news, the oil price traded sideways in October. OPEC countries, Russia and International Oil Companies are all losing billions and look set to continue doing so throughout 2016 as over-supply now looks likely to remain until early 2017. The situation is one of stalemate as opposed to checkmate. World total liquids production down 80,000 bpd to 96.56 Mbpd. N America production down 220,000 bpd to 19.46 Mbpd. Asia down 30,000 bpd to 7.91 Mbpd. Middle East rig count is stable. The international oil rig count has stopped falling. The U.S. oil rig count has turned down again. Figure 1 The oil price has had a quiet month, trending sideways with Brent either side of $50. The head and shoulders chart pattern observed last month has not yet been completed. To complete the pattern the oil price needs to test the recent lows ($38.22 for WTI and $41.59 for Brent, both on August 24th). Market stalemate has not yet been broken. The September 2015 Vital Statistics are here. EIA oil price and Baker Hughes rig count charts are updated to end October 2015, the remaining oil production charts are updated to September 2015 using the IEA OMR data. Figure 2 The bigger picture shows more clearly the indecision in oil price direction. One outcome may be that the oil price neither rises nor falls dramatically from current levels and that the world producers may have to adapt to a new reality of $50/bbl. The arguments against this are 1) OPEC producers and Russia cannot survive with this price without slashing welfare programs and 2) OECD oil companies cannot survive and maintain current production levels at this price. Marginal barrels cost more than $50 to develop and produce. Figure 3 October has seen stuttering rather than decisive action on the U.S. oil rig count. The minor recovery staged in August peaked at 675 units on 28 August. In the two months since, oil directed rigs have dropped 97 to 578 on 30 October. 600 rigs are roughly what is required to compensate for declines and to maintain U.S. production at current levels. Should the decline in oil directed drilling continue, then U.S. production will inevitably follow, though not as rapidly as many may presume with already drilled wells and improved efficiency taking up some of the slack. Credit redeterminations for U.S. shale drillers were largely completed in October and the bloodbath that was expected did not materialize with banks largely continuing to lend money to the sector. This does not resolve the problem of insolvency in shale drilling, it merely delays the day of reckoning. Figure 4 This expanded scale shows that the rate of decline in U.S. oil directed drilling is muted compared with the big drop seen earlier this year. Gas drilling has flatlined at around 200 units. The total rig count was 775 on 30 October compared with a post-crash low of 876 seen on 20 June 2009. Hence, the current slump is already worse than the post-crash slump and there is no respite in sight. Figure 5 The near-term peak in U.S. production was 13.24 Mbpd in April 2015. The August figure was 12.69 Mbpd, down 550,000 bpd. In my post on U.S. Shale Oil: drilling productivity and decline rates I estimated that LTO production may fall by 830,000 bpd with current rig count and drilling efficiency. The oil rig count is once again falling slowly, but the anticipated rout in drilling and production has not yet taken place. It now looks like it’s going to be a long drawn out affair that will spread pain throughout the whole oil production sector. Low oil and energy prices are of course good for consumers and economic growth. It is, however, a concern when the engine of growth – energy production – becomes sick. Figure 6 OPEC production stands at 31.72 Mbpd up 90,000 bpd on August. This level was first attained in the summer of 2008, at the end of the great energy squeeze in the lead up to the financial crash. This appears to define a plateau level in OPEC production. Production from Iraq has been flat for 4 months at 4.2 Mbpd. It is difficult to say if there is more growth to come. Libya is stable, bumping along bottom. And with sanctions lifted in Iran, production from that country may rise by 800,000 bpd in 2016. Saudi Arabia claims to have 2.2 Mbpd spare capacity, but that is likely to be sour heavy crude that does not currently have a refining market. All other OPEC countries are pumping flat out (see Figure 7). 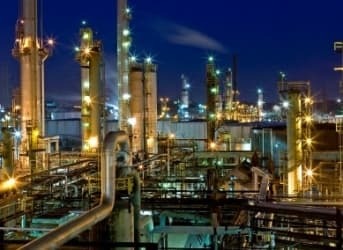 At face value, the return of Iran will see OPEC production rise from current levels, but history teaches us that Saudi Arabia, and other Gulf states, may cut production to make room for new OPEC supply and that political turmoil is never more than a heartbeat away and may lead to involuntary production cuts. Figure 7 OPEC booked spare production capacity stands at 3.27 Mbpd with 2.06 in Saudi, 0.72 in Iran and 0.49 in the rest. Figure 8 In September Saudi production fell by 80,000 bpd to 10.20 Mbpd. There has been no move to increase drilling. NZ = neutral zone which is neutral territory that lies between Saudi Arabia and Kuwait where production from the Wafra heavy oil field is shared equally between them. The NZ used to pump at over 500,000 bpd in 2013, but this has now effectively fallen to zero. The heavy oil in the Wafra reservoir is helped to the surface by steam injection. It seems that this is not economical sub $60. Figure 9 The ME OPEC oil rig count is on a rising trend with operational cycles superimposed. For four months the total rig count for these four countries has been stable at 147 units. Figure 10 The slide in international oil rigs appears to have stalled for the time being showing little change for 5 months. This applies to each of the five regions plotted. Total international rigs are up 5 to 871. This number is still substantially above the 2008 peak of 832 units (dashed line). While the international oil industry is racking up huge losses, the level of drilling activity still exceeds the previous high of 7 years ago. Figure 11 Russia and other FSU produced 13.94 Mbpd in September, up 60,000 bpd on August but little changed for 3 years. Russian production was 11.08 Mbpd in September, up 40,000 bpd. Other FSU was 2.86 Mbpd, up 20,000 bpd. Figure 12 The cycles in European production data are down to summer maintenance programs in the offshore North Sea province. To get an idea of trend it is necessary to compare production with the same month a year ago. The dashed line shows that European production has been essentially flat for three years. The post-peak declines have been arrested. Compared with Sep 2014, European production is up 140,000 bpd to 3.3 Mbpd. Declining North Sea production was one of the drivers behind the rise in oil prices since 2002. Arresting and reversing those declines has removed that driver. Figure 13 This group of S and E Asian producers has been trending sideways since 2010. The group produced 7.91 Mbpd in September, down 30,000 bpd on the revised August figure. North American production rose an astonishing 6 Mbpd between 2011 and 2015. This is the principal cause of global over-supply. Production has now declined 0.66 Mbpd, but there is still a long way to go before supply and demand come back into balance (Figures 16 to 18). Figure 15 Total liquids = crude oil + condensate + natural gas liquids + refinery gains + biofuel. September production was 96.56 Mbpd down 80,000 bpd on the revised August figure. Global total liquids is down 520,000 bpd on the July peak. Global total liquids production rose above the long term trend line in mid-2014 resulting in the oil price rout. Figure 16 Quarterly supply and demand data from the IEA. From the first Q of 2014 an over-supply situation has persisted. Figure 17 I believe the IEA monitor global stocks, stock change and production. Production (supply in Figure 16) less stock change then equals demand (Figure 16). According to the IEA figures a total of 839 million barrels of surplus production have gone to storage since 1Q of 2014, worth $83.9 billion @ $100/bbl and worth $42 billion @ $50/ bbl. The IEA now see the over-supply situation persisting throughout the whole of 2016 (Figure 18). Figure 18 The IEA view from the October 2015 OMR. Without Iran, the IEA sees flat supply to end 2016 and with Iran (dashed line) supply ticking up by about 720,000 bpd that would maintain the over-supply situation throughout 2016. Even without Iran, over-supply persists to the end of 2016. OPEC, Russia and the FSU, SE Asia and Europe are all producing at plateau levels with no significant moves up or down in recent years. The only region with significant trend is N America where declines of 660,000 bpd from the April peak are modest compared with the production growth that preceded the peak and current over-supply running at 1.5 Mbpd. One possible scenario is that, despite racking up huge losses, all the players hang tough for another year awaiting demand growth to eradicate the oversupply situation. A second scenario is that OPEC + Russia cut production by 2 Mbpd sending the oil price back towards $100 / bbl. A third scenario is that U.S. shale drillers succumb to gravity with drilling and production going into steep decline. And a fourth scenario is that momentous global events eventually catch up with production in Iraq, Saudi Arabia and Algeria sending production into a tail spin and the oil price spiraling upwards. It has always been impossible to forecast the oil price and it still is. Why Do Oil Companies Manage Their Own Logistics?